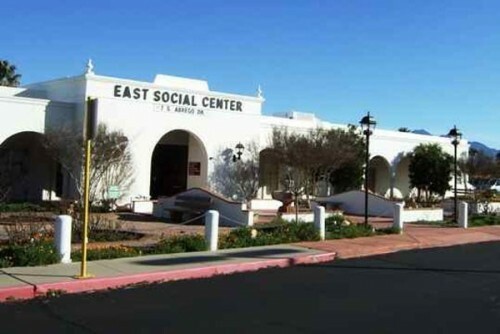 East Social Center where performances take place. The audience takes a stretch as the Good Lovelies take a break. 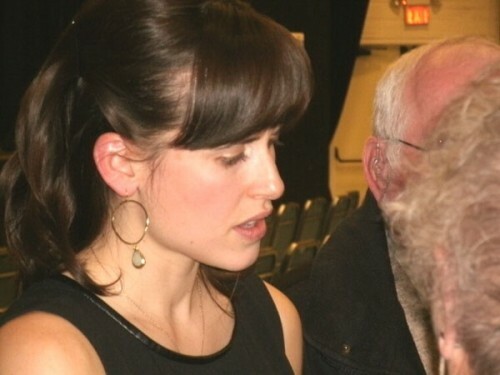 Good Lovely Caroline engages with admirers after the concert. Julie Vance, a busy lady with many hats, one of which is managing the extensive concert program, sits down to talk with us. 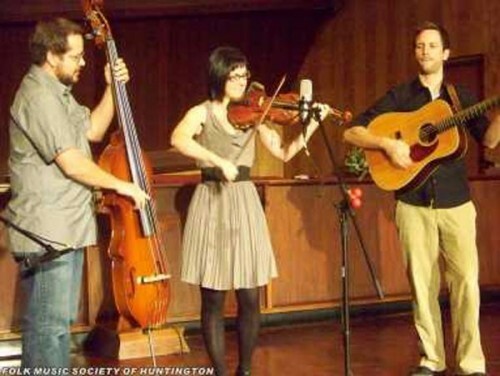 Canadian Fiddler, April Verch, and her band were among October's performers. Among the November concerts, Jan Daly offered love songs from Bob Hope's legacy. Prodigy, Ang Li, just one of December's memorable concerts. 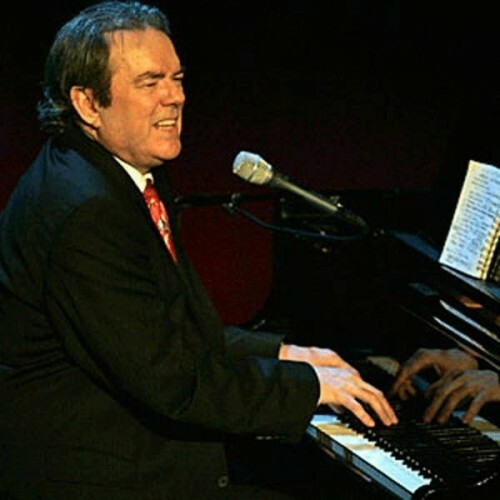 Singer-Songwriter Jimmy Webb capped off the January Concerts. 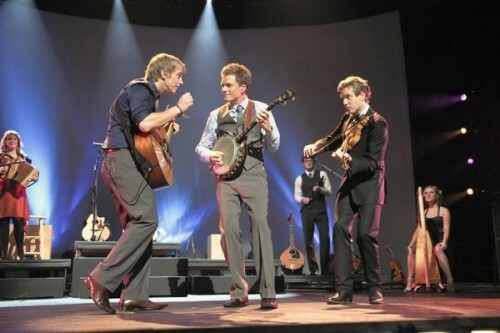 Celtic Crossroads provided a February highlight. 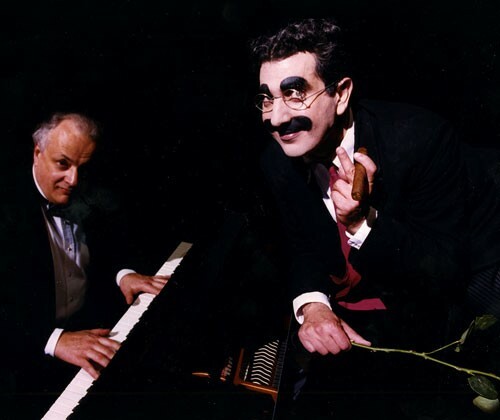 One of March's attractions will be Frank Ferrante's Evening With Groucho and his following day workshop. 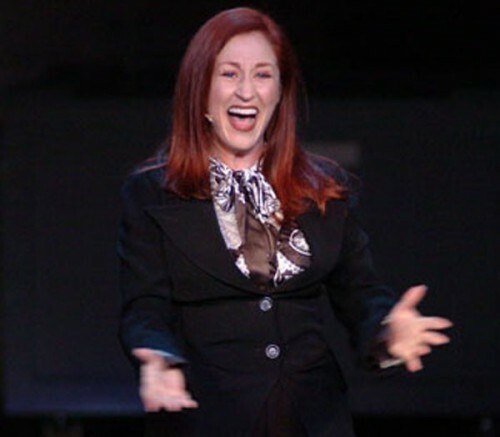 The inimitable and ubiquitous Vicki Lewis will be the most noted attraction in April. If there is any single factor that encourages me to think that a diversity of performing arts will continue to survive in our culture, it is the wide variability of venues which deliver that product to the general public. It was not all that long ago that commercial outlets and professional entrepreneurs primarily controlled those critical stages, but now they are as often in the hands of a nonprofit organization of one kind or another. The multiplicity of nonprofits and the wide range of their view of the arts spectrum seem to expand constantly. What better indication could we have that we hunger for that creativity in our lives? In the last three years in which I have returned to reviewing performances I have seen a number of different nonprofit venues each different from any other. But this month, I confess, I came upon one whose origin I find stranger than most. It all started when I was working on my recent review of the latest Good Lovelies CD . While generating the links to include in that review I checked out their tour schedule and was dumbfounded to find that they would be performing in the town adjacent to the very one in Arizona where I am currently wintering. Now, I have been spending much of my winters in this same spot for well over a decade and shopped often in neighboring Green Valley, read the local Green Valley newspaper as well and yet, never been aware of any performance venue situated there. It was time for more research. Using the info from the Lovelies web-site, I googled Green Valley Recreation and discovered their web-site. (1070 S Calle De Las Casitas Green Valley, AZ 85614) Finding and following a link to their concert series I was surprised and delighted to find that they had an extremely ambitious and interesting series for the Fall 2012 to Spring 2013 season, that I had already missed several events that I would have loved to attend, and that as well as the Good Lovelies, there were a number of interesting events yet to come. Seats were available for the group’s performance and we did attend and as we have come to expect, the Good Lovelies had their close to a full house audience in hand within the first few numbers charming them with a program that consisted mainly of the numbers from their current “Live At The Revolution” CD and some of their earlier material as well. Kerri, Caroline and Lady Sue along with bass player, Paul Mathew, who was with them for this tour, mingled with the audience after the performance and we once again had the opportunity for a brief chat with them. To stray for a moment, that brevity highlighted for me one difference in the performing atmosphere now from that with which I was once immersed. In the ‘60s, most performers who came to town were there for a week or at least for several days. We hangers-on, yes, that’s what we are even though we hopefully perform a useful function, were able to spend time with them and get to know a lot more about performers and what made them tick. We developed personal relationships with many of them. The predominance of one-nighters these days makes that kind of experience and knowledge practically impossible. Now to get back to the point I set out to make, that is the uniqueness of the Green Valley Recreation venue. To uncover more about them, I made an appointment for a sit-down with the Concert Program Director, Julie Vance. I began by asking her, “Julie, was the concert program established when you came to your position or did you create it? Julie – “The concert season was here when I got here. When I arrived they had been doing concerts for over twenty years and had evolved from originally having local groups come in to perform to our current program where we have performers coming from all over the country, actually from all over the world to perform for us." “What was your experience before you came here?" 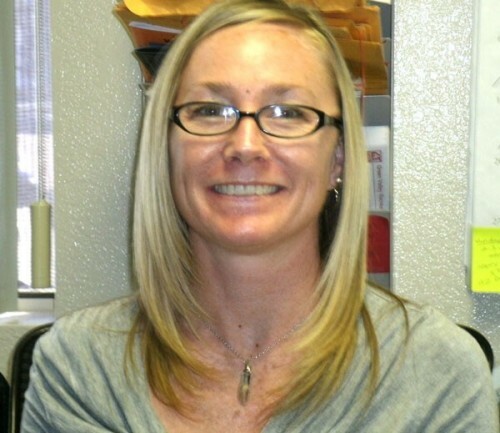 Julie and I spent some time discussing different programming strategies and personal preference in the kind of rambling discussion that as a disciplined interviewer I should not permit myself, but, seldom manage to avoid. We talked of the various genres of music and performance that are available and their appeal and levels of quality. I noted the offering of workshops by one or more of the scheduled performers and we chewed over the viability of this as an entertainment and as an outreach to audiences. We lamented a number of the vagaries of trying to guess what and how to create a schedule of performances that would appeal to specific populations as well as accommodate our own aesthetic sense. It is always a pleasure to discuss these issues with a knowledgeable professional and I found myself thoroughly enjoying the conversation. In talking about the specific population of Green Valley, I finally got back to the topic for which I began this article. The website headlines their mission statement. What further astounded me is that they have close to 30,000 members, an extensive program of workshops, classes, lectures, clubs with facilities for Tennis, Swimming and a number of other lifestyle activities. How did they become so large and such an aesthetic force in the community? GVR was created in 1978 from the merger of two previous neighborhood recreation organizations who saw the value of consolidating. For more than 25 years now the merge has worked to permit GVR to maintain a core social organization while supporting many social organizations who have formed their groups by holding early meetings in a GVR recreation center. All members are property owners within the boundaries of the original leisure communities and membership and membership fees are embedded with the property. When property is sold privileges and obligations pass with the deed. Buyers must accept those conditions if they want to purchase the property. Even a brief survey of the extensive programs and activities shown on their website offers abundant proof that they are getting good value for their willingness to comply. Neither I nor Julie knows of any other Arts organization in the United States that is quite like this one. 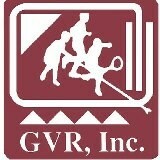 I look forward to sharing with you my experience with some of the upcoming events which GVR will host. And may they and all the other non-profits that are dedicated to keeping the arts alive and affordable in our lives prosper. We would be far poorer without them. Step dancing fiddler, April Verch and her band were there in October.